Create your own easy class year nail art with vinyl and your Cricut. This isn’t just for the class of 2018. You can edit the numbers to create whatever combination you’d like. Grab your favorite vinyl colors and you’re almost ready to get fancy. This easy nail art is a simple Cricut project you can quickly create to accessorize your graduation outfit or show off your school spirit at the end of the school year. All week I'm sharing End of School year projects you can make with your Cricut Machine. I've partnered with some of my friends to share all kinds of fun Cricut Projects you can make for a variety of end of school year activities. Keep coming back to check out all the fantastic ideas shared by more creative designers. To create my example nail art, I used my favorite adhesive foil vinyl for this quick Cricut project, but most permanent vinyl will work. What I love most about this nail art project is how quickly (and oh so tiny) the Cricut cuts all the numbers you’ll need. You can cut a full nail set or just a single nail accent like I have here. Use one color or the whole rainbow! have fun and personalize the look to fit your own style. Make this project! I've set up a Cricut Design Space project canvas, all ready to go. You can click here to access all the images you need to make your own class year nail art. Go to the class year project I have already set up in Cricut Design Space. You can edit the year as you’d like, change the font and size or use the design as is. Follow the onscreen instructions to cut the foil. Make sure your nails are painted, clean an dry. Apply the foil cutouts to your nails how you’d like. Be sure to press firmly to ensure they are stuck really well. Apply a nail top coat, at least one layer and up to 3 layers to help the foil stay in place an last as long as possible. You can use this same technique to create word art for your nails too. Spell out all kinds of fun messages you can wear everywhere you go! Party decor – make a class year banner or garland. Decorate vases, table cards, party tables, etc. Class shirts and wearables – cut the year designs with your Cricut and iron-on vinyl to create custom t-shirts for Seniors or fun team shirts all the classes. I like using the metallic and specialty vinyl, but a standard solid color would be really cool too. Don't forget fun graduation cap designs – there's a fun trend to decorate the top of a graduation cap – think of the feature designs you can create with vinyl…cut and iron-on in minutes! Party and celebration stationery products – you can create all kinds of personalized note cards, postcards, invites and other stationery with your Cricut. Choose to cut the design pieces or print them directly on the cut card – design is all in Cricut Design Space and make as many as you need. 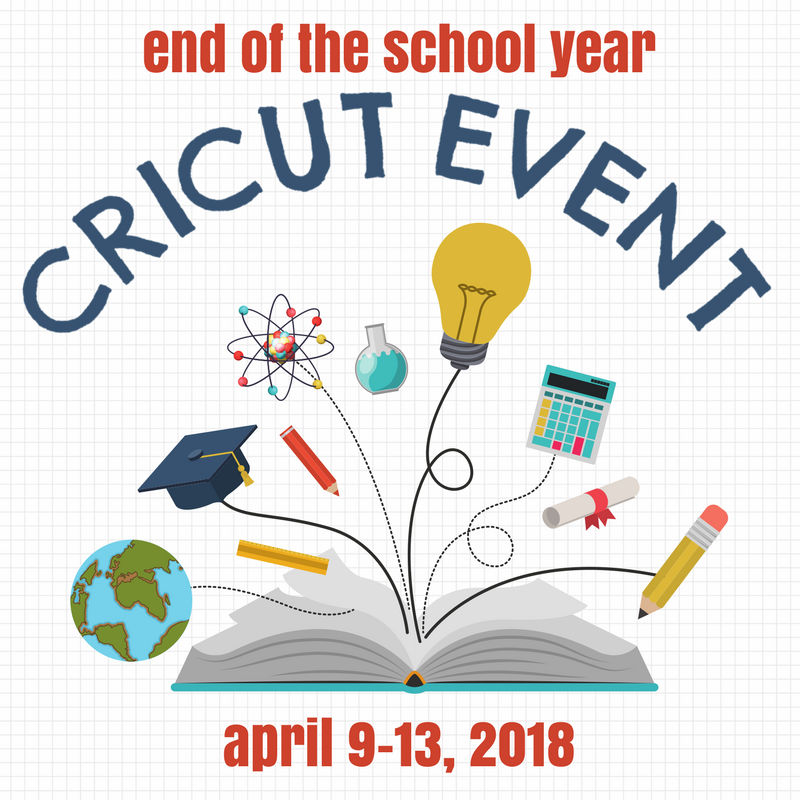 I've partnered with other creative bloggers this week to share a whole pile of end of school year ideas you can create with your Cricut. Check out today's Cricut project ideas shared by others. This is a super smart idea for grads!